The chemical tanker Aquarius sank after explosion and subsequent fire in Singapore Strait on 4.6 nautical miles southwest off Tanjung Pengelih in Johor, Malaysia. Following the accident six crew went missing. 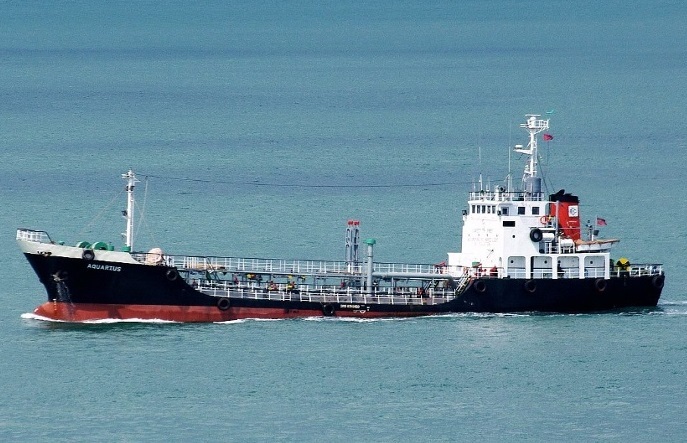 The exact details around the accident are unknown, as the shipowner and agent lost connection with the Indonesia tanker, loaded with fuel. The accident was immediately reported to Malaysian Maritime Enforcement Agency (MMEA) and later was estimated that vessel sank after suffered explosion, which was followed the fire. The search and rescue operation for the six missing crew was immediately launched, engaging the nearby vessels and coast guard patrol boats. The six crew members were believed to be missing and local authorities released their name: Faharuddin Akhmad (35), Mohammed Hernanda Heri (28), Prince Abdur Rahem (31), Rendy Alamanda (28), Sulkifli (39) and Yohanis Sumari (35). They all were Indonesian citizens. “The ship has a length of 46.3 meters and carrying six crew Indonesian citizen, aged 28 to 39 years”, said Admiral Datuk Mohd Taha Ibrahim from Malaysian Maritime Enforcement Agency (MMEA). “The reports of missing ship was received from the Singapore Police Coast Guard (PCG) at about 5 am this morning after trying to contact the shipping agent of the ship but failed. Thereafter, a boat Penggalang 15 of the Maritime District 7 mobilized and arrived at the scene at 6.15 am this morning and found no glimpse of the ship was found”, added he. The local authorities found oil spots, as well as debris which confirmed the sinking of the chemical tanker Aquarius. The search and rescue operation is under way. The local authorities initiated investigation for the root cause of the accident. The chemical tanker Aquarius (IMO: 8319160) has overall length of 58.00 m, beam of 9.00 m and maximum draft of 4.00 m. The deadweight of the ship is 981 DWT and the gross tonnage is 654 GRT. The tanker is registered in Equatorial Guinea believed to bring crude oil. – June 15, 2017.